Song details - PALO! 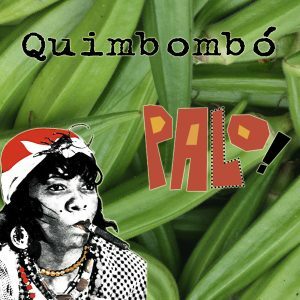 - Afro-Cuban Funk Band - "Quimbombo"
The word quimbombo is what Cubans call the vegetable okra. I love the sound of that word, which comes from Africa. It sounds percussive and musical to me. When I told Leslie I wanted to write a song with that title, she said “We can’t do that. I hate quimbombo. It’s slimey and disgusting. Ew!” We agreed to write a song about how much she hates it. We wrote the coro first, and the chord structure seemed to lend itself to a story song. So we made up a story about how she was invited for dinner and was served her least favorite food. I think I might have had the last verse of “Rapper’s Delight” in the back of my mind; I always thought that verse was really funny. The last part of the song tells about giving the quimbombo to the saints. That was thrown together at a gig one night when we had Philbert’s group Los Herederos as our guests. I’m told that Changó likes quimbombó, so in my mind, it should not be wasted! A recording of the great Cuban conguero Candido Camero influenced the drum loop. The guitar part was next. I had some out takes from guitarist Manuel Trujillo which I edited to create the guitar loop. Ed’s hilarious and virtuosic “yakety sax” approach on this song is just amazing. And I love how Leslie’s vocal sounds like she’s a bit angry. The video for this song was directed by Ralf Gonzalez. Although Ralf had a limited budget, he made us proud. The video features some really talented friends: Izzy Martinez plays the ever-nerdy Senén, and the incredible Cuban stand-up comic Nenita plays the part of his vegetarian grandmother. Cookie, my dog, plays Senén’s dog. I think she’s pretty convincing.